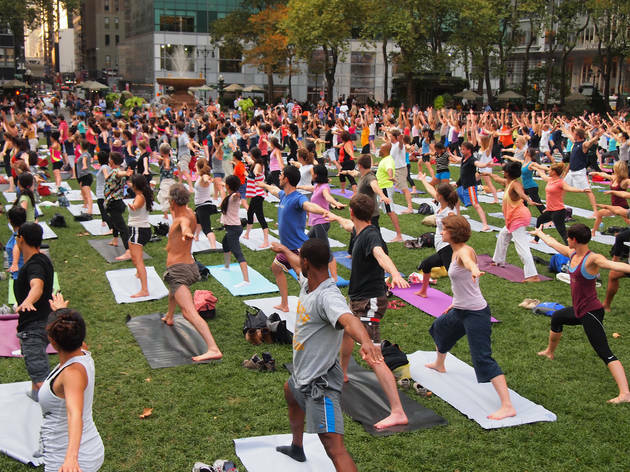 India may be the home of yoga, but right now New York City is among the world’s greatest hubs for this super-healthy practice. 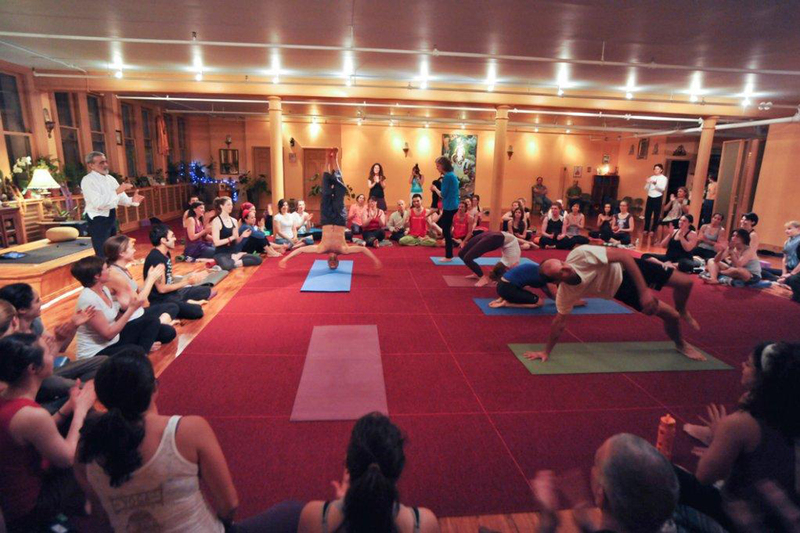 Of course, it’s not surprising that you can find so many different styles of yoga here—NYC has a reputation for diversity to uphold (greatest city in the world, you know). But there truly is something for everyone and anyone—even those who prefer to take outdoor fitness classes can try outdoor yoga! 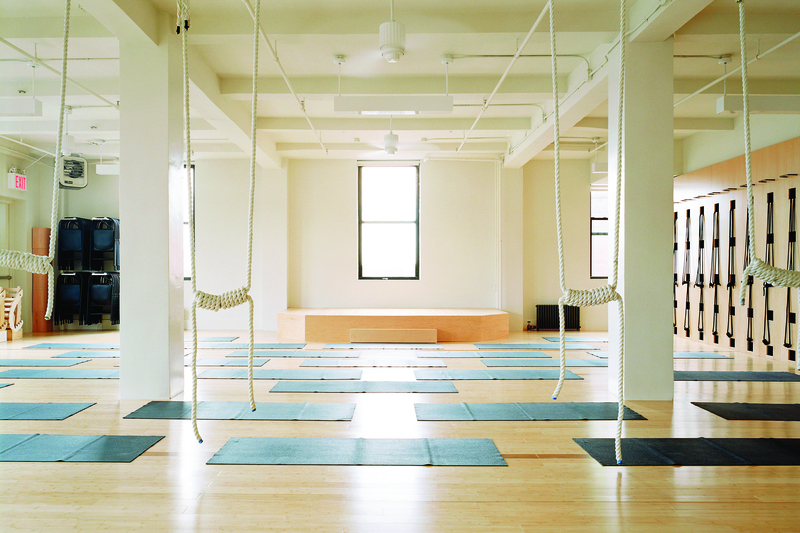 In our guide, we ranked some of the city’s best studios that offer popular styles: hatha, ashtanga, vinyasa and kundalini. (So get ready to perfect your Ohm.) 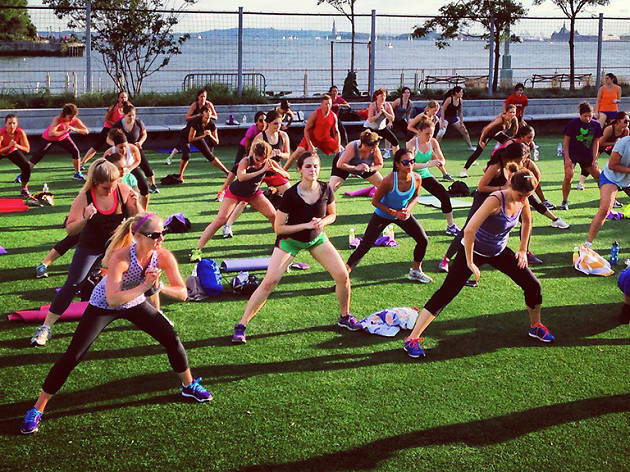 If you’re looking to go all-out with a new fitness regimen, you can head to our roundup of the best fitness classes and gyms in the area. So grab your water bottle, pull on those spandex pants, and hit the mat. Mindfully, of course. For beginners and advanced yogis alike, Iyengar yoga offers a supremely clear, safe and peaceful way to practice. Its founder, the late BKS Iyengar, was the first Indian teacher to bring yoga to the west in the ’40s and laid the path for all the offshoot styles of yoga that are available today. The focus is on physical alignment in the poses, which means you won’t create injuries, and it’s also ideal for folks who are dealing with existing problems, as well as sporty types and older practitioners. Instruction is super straightforward, and teachers use clear language, steering away from any kind of wishy-washy jargon. 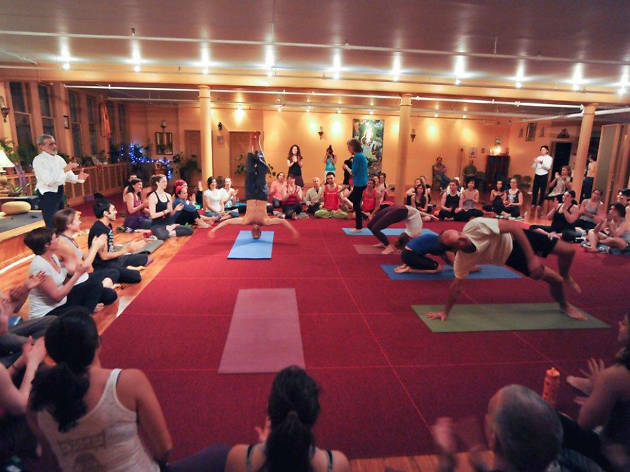 Founded by Kristin Leigh and Barbara Verocci in 2002, the Shala now has two locations, with one studio off Union Square and the other in Fort Greene. Both offer a supremely peaceful way to practice ashtanga-style yoga and ashtanga-influenced vinyasa; the studio is pretty and spacious. 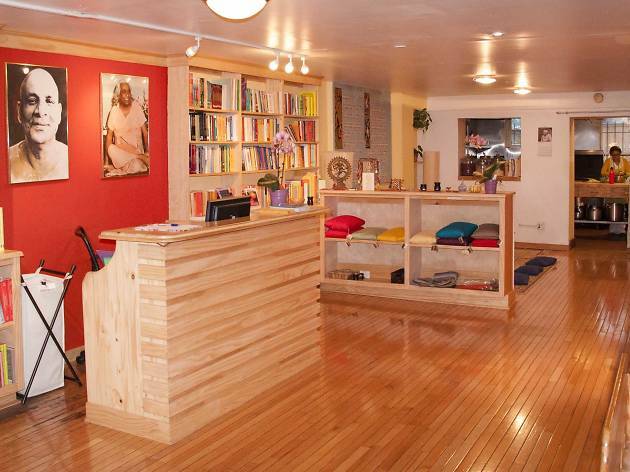 The emphasis is on yoga’s core values, and there are also meditation classes and anatomy workshops, plus a small store with a great book selection. Loved by locals, this Williamsburg mainstay offers vinyasa classes at every level, from beginners through intermediate and advanced. 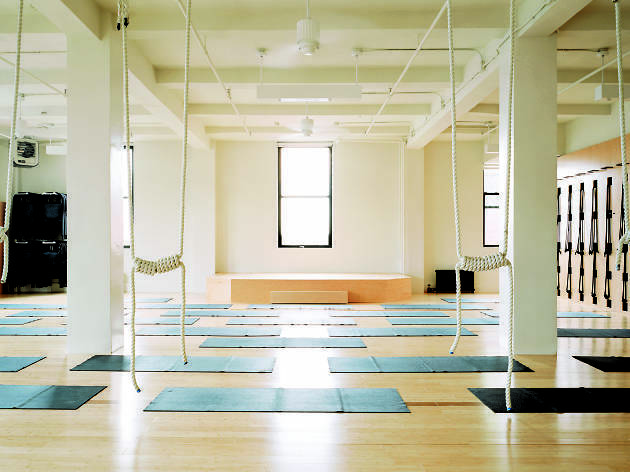 Having two studios (there’s another at 88 Roebling St) means that there’s usually a class that will suit your taste and timetable, from the sweaty, lively “Sweat and Flow” session to the mellow, reflective restorative yoga series. There’s also a sauna and spa featuring a team of talented masseurs. 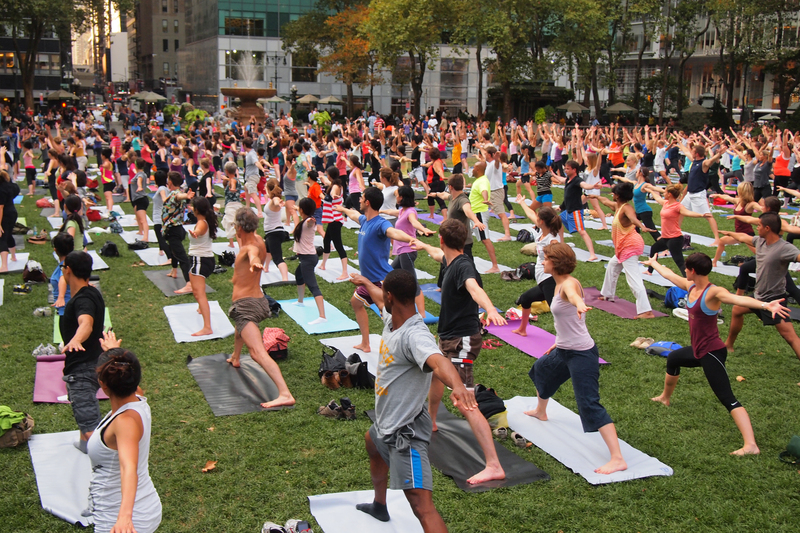 Okay—this is technically not a studio, but what better way to practice the art of yoga than on the great lawn of beautiful Bryant Park? Whether you’re a die-hard yogi or a noob searching for vinyasa, folks of all fitness levels are welcome to find Zen beneath the trees every Tuesday morning and Thursday evening during the summer. 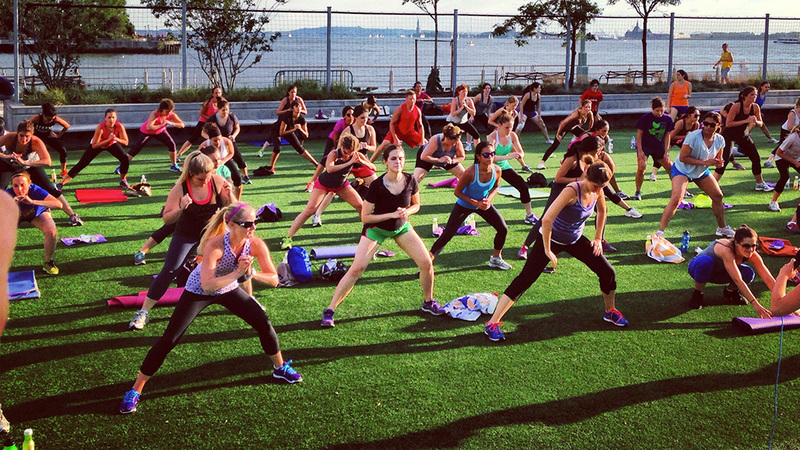 The outdoor hub’s yoga season is presented by sportswear brand Athleta, during which instructors from Yoga Journal help you perfect poses while you focus on deep breathing. Classes will be held at Upper Terrace (Tue) and on the Lawn (Thu). Founded in 1971, Kundalini Yoga East is NYC’s longest running kundalini studio. The style combines meditation and spirituality with breathwork and postures, and this studio offers a regular schedule of classes as well as special events and workshops. 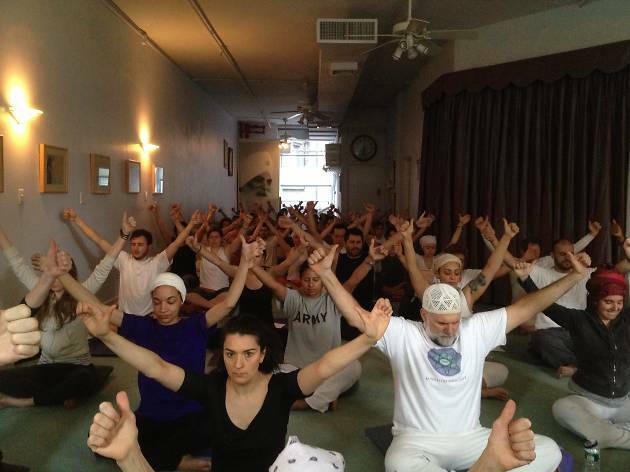 Yoga may be big business in NYC right now, but when Integral first opened its doors in the '60s, few people knew anything about it. The Integral Yoga system was founded by respected guru Swami Satchidananda in 1966, and there are now institutes all over the world. 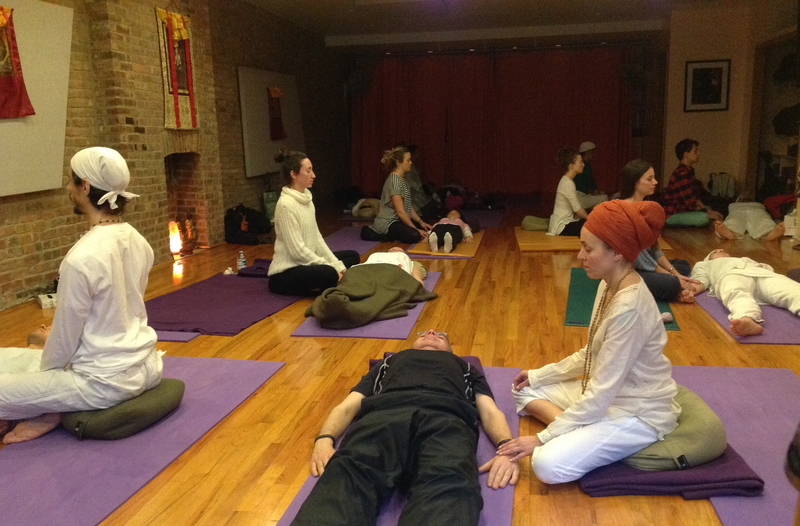 Its 90-minute hatha-style classes are offered at three different levels and always include meditation. There are also specialized classes, including prenatal, yoga for arthritis and for those with HIV, plus free drop-in deep-relaxation classes. The institute also has a wellness spa, gift store, well-stocked health-food store and café. As you’d guess from the name, the emphasis is on fun and freedom of expression at this cheery Chelsea studio (which also has an outpost in San Francisco), founded by Dana Flynn and Jasmine Tarkeshi in 2000. 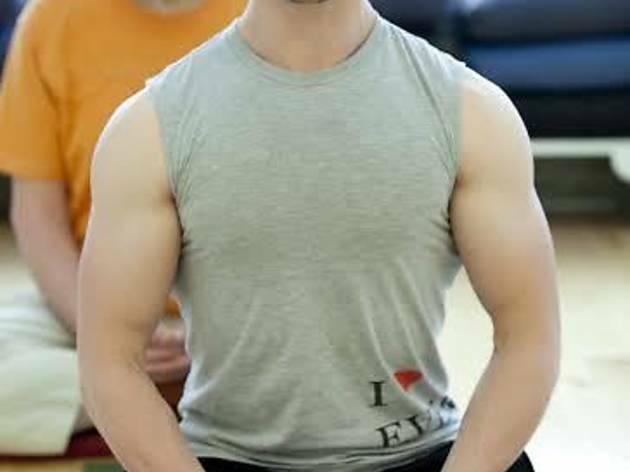 Laughing Lotus teachers offer a dynamic, flowing vinyasa style, usually set to an awesome musical soundtrack, and classes are taught at varying levels. 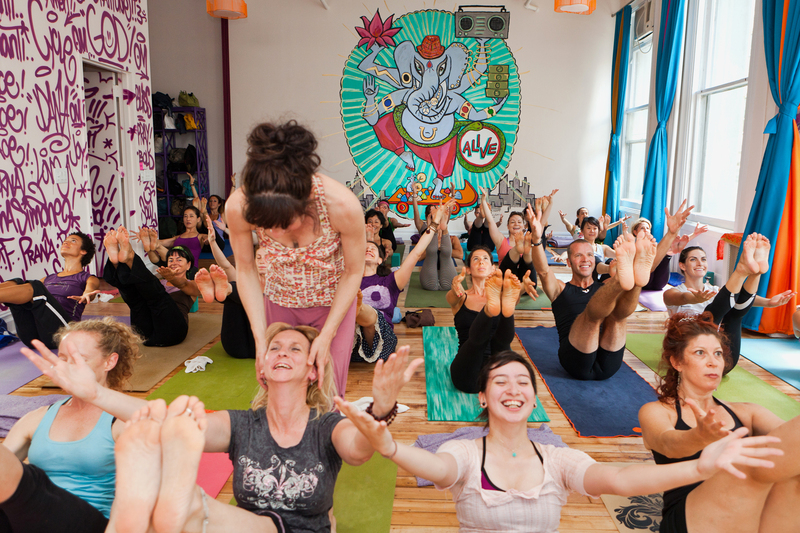 Laughing Lotus has also recently launched its Brooklyn branch in Williamsburg. This high-end studio has two outposts in NYC, plus studios as far afield as Shanghai and Hong Kong. 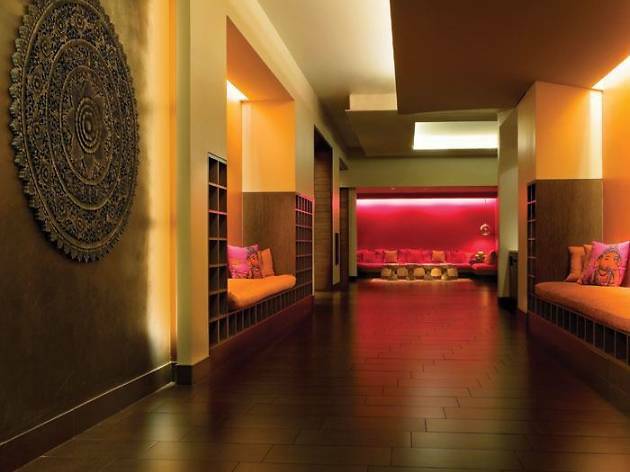 Founded by former tennis stars Colin Grant and Bruce Rockowitz, Pure offers many different styles of yoga besides vinyasa (including hot yoga, ashtanga and hatha), and part of the lure of Pure is its sumptuous spa-like dressing rooms, showers and lounges. 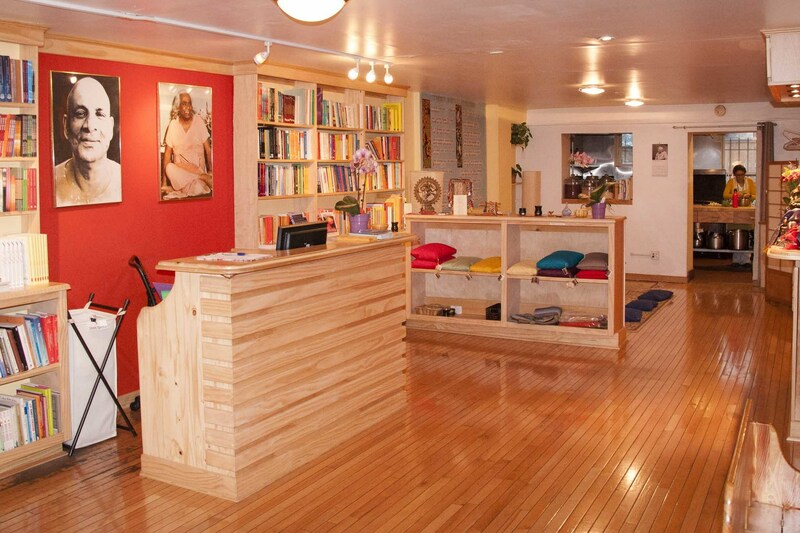 Housed in a cozy three-story Soho townhouse, Golden Bridge Yoga packs in a bookstore and Satya jewelry boutique and sessions that range from kundalini and hatha yoga to prenatal and meditation classes to courses in metaphysics. Brazilian yoga teacher Dharma Mittra has been teaching since 1967, and you may be familiar with photos of him standing on his head—without using his arms—and smiling beatifically. 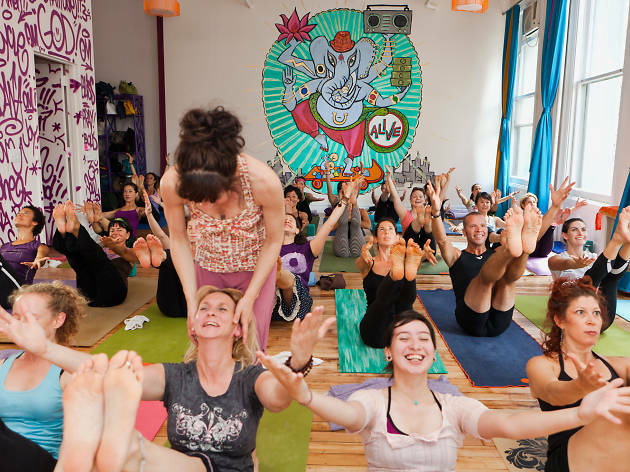 While Dharma yoga is its own system (and one taught around the world), its roots are in the ashtanga tradition, and Dharma classes are accordingly vigorous and challenging. 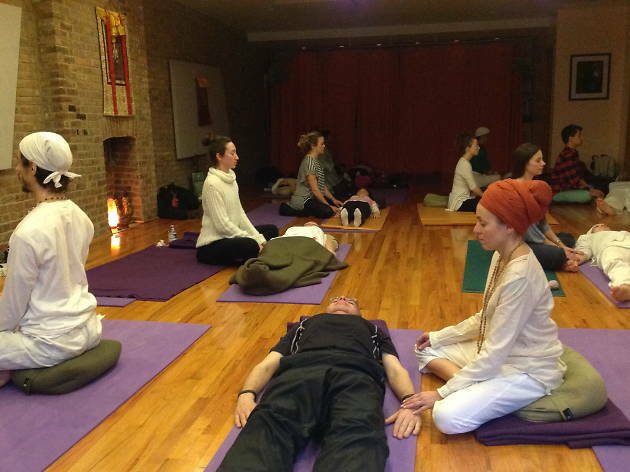 Classes are offered at various levels from beginner to “Master Sadhana,” and the Flatiron studio also offers workshops and courses.